There is no such thing as waste, only unused resources. From every corner of the globe to the remotest island, our excess is piling up. Before the last century, only the most enduring artefacts of human habitation are preserved. Now, it seems we have an insatiable appetite for plastic – and it’s inedible! We poison our waterways & atmosphere & pillage our soils & forests. Changing our ways is now urgent and we must all endeavour to repair the damage we’ve done, each of us starting with where we are right now – in our own homes & communities – zone one. It may be that those living (or aspiring to live) in modern western societies aren’t fully cognizant of the effects of their throw-away society because they have the luxury of garbage collection & centralized sewerage. The 25L rubbish bin has become a 50L wheelie bin which some households manage to fill every week. If this weren’t conveniently removed weekly they would soon find their house & garden wouldn’t be large enough to hold their unwanted refuse after only 1 year! Remember, the Earth is round, it all comes back to us! If we can’t reuse, recycle, decompose or render it harmless, we shouldn’t create it in the first place! Return to Earth : Any biological material (food scraps, vegetation, paper, manure etc) is valuable biomass- not rubbish. Such material should be composted & used to build soil, not mixed with plastic & other non-bio degradable waste to rot in landfill. 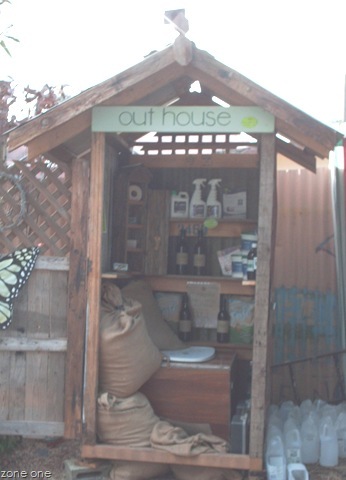 Home compost bins can be purchased or made from recycled materials. Worm farms & kitchen top bokashi bins can be used for small dwellings or apartments or get involved with your neighbours to create a communal compost area & lobby your local council to collect separate green waste & recyclable materials (bottles, cans, paper, metal etc.) Most importantly, avoid using products that do not naturally decompose or cannot be recycled. Don’t burn, biochar! : Burning creates smoke (atmospheric carbon) & wastes valuable biomass that is better returned to the soil. 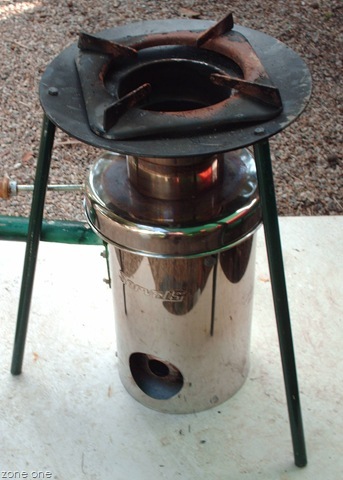 Biochar (pyrolysis without oxygen) retains carbon and when added to the soil, aids in retaining water and nutrients , increasing fertility over time – fortifying with fertilizer such as seaweed or manure is recommended. This entry was posted in waste by zoneonesustainableliving. Bookmark the permalink.